One of the most common causes of car accidents is a vehicle following too closely and then rear-ending the car in front of them. In Washington, drivers must leave enough space to be able to stop even in an emergency situation. A good rule of thumb is a three-second following distance. Tailgating or following too closely does not allow enough space for a vehicle to stop in time to avoid a car accident. Here are the Washington Rules of the Road for following too closely. RCW 46.61.145: Following too closely. The driver of a motor vehicle shall not follow another vehicle more closely than is reasonable and prudent, having due regard for the speed of such vehicles and the traffic upon and the condition of the highway. The driver of any motor truck or motor vehicle drawing another vehicle when traveling upon a roadway outside of a business or residence district and which is following another motor truck or motor vehicle drawing another vehicle shall, whenever conditions permit, leave sufficient space so that an overtaking vehicle may enter and occupy such space without danger, except that this shall not prevent a motor truck or motor vehicle drawing another vehicle from overtaking and passing any like vehicle or other vehicle. Motor vehicles being driven upon any roadway outside of a business or residence district in a caravan or motorcade whether or not towing other vehicles shall be so operated as to allow sufficient space between each such vehicle or combination of vehicles so as to enable any other vehicle to enter and occupy such space without danger. This provision shall not apply to funeral processions. When you’ve been rear-ended in a car accident, contact the experienced and professional personal injury attorneys at Parke Gordon Law Firm to handle your case. 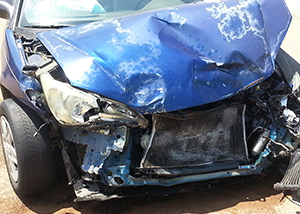 Our Spokane car accident lawyers have handled hundreds of rear-end car crash cases. We believe every client deserves fair representation, not just big insurance companies with deep pockets. Call the law office of Harvard law grad Mat Parke today at (509) 482-7274. Parke Gordon Law Firm offers a free consultation. This is your opportunity to discuss your car accident case with an experienced and knowledgeable attorney at no charge. In fact, you pay nothing until your case is settled. Call now to see if you have a good case.